Video blogger and chairperson of the Institute for Reporters` Freedom and Safety (IRFS), Mehman Huseynov, was pushed into a vehicle in Baku, Azerbaijan, on 9 January. He was arrested by police agents on administrative charges of resisting police. Updated: Mehman Huseynov has been released. According to eyewitnesses, Mehman Huseynov was forcibly dragged into an unmarked vehicle and taken to an unknown destination by unidentified assailants in civilian clothes, as reported by IRFS and the Campaign to Free Political Prisoners. The latest reports say that Nasimi Police arrested him and have charged him under article 535.1 of the Administrative Offences Code (Disobeying the Police). He is to appear before the Nasimi Court today. Mehman Huseynov`s colleagues and family have reported the incident to the local police and competent national authorities, not knowing at the time of the events who abducted him. They have, at time of publication of this article, still not received official information. Ane Tusvik Bonde, HRHF Manager for Eastern Europe and Caucasus, says: “Mehman Huseynov is an important video blogger and watchdog in Azerbaijan, and we are very concerned at the news of his arrest. The authorities must immediately and unconditionally release him, as his arrest is clearly a retaliation for his human rights and media work, and his new leading role at IRFS. We further call upon the international community to firmly and publicly condemn the arrest of Mehman Huseynov and take all appropriate measures with Azerbaijani counterparts to ensure his safe release. Mehman Huseynov is a well-known Azerbaijani photojournalist and blogger who has been pivotal in raising awareness of political and social problems in Azerbaijan. In his recent series of video reports for news and media company Sancaq, called “Hunt for Corrupt Officials,” he documented corruption in the high echelons of Azerbaijan’s ruling establishment. HRHF has worked with Mehman Huseynov for several years. He was first arrested in 2012, and since then has been regularly interrogated by authorities, who have confiscated his official documents and imposed a travel ban on him. On 10 September, 2016, he was taken to a police station and interrogated and threatened with torture. In November 2016, he was elected as IRFS’s new chairman. The previous chairman of IRFS, journalist Rasim Aliyev, died after being violently attacked in August 2015 in Baku. Before Rasim Aliyev, Emin Huseynov, Mehman`s brother, was President of IRFS. He was forced into hiding and to leave Azerbaijan. Authorities continuously target IRFS, attacking and harassing its leaders and administratively blocking the organisation from being able to operate in the country. “Previous retaliation against journalists in Azerbaijan, and the detention and threats employed against Mehman Huseynov and IRFS, raise serious concerns about his current safety and the conditions he is being held in. The authorities continue to believe that they can arrest anybody at any given time for any reason. The international community must seriously address this climate of impunity for violations against journalists and human rights defenders,” says Ane Tusvik Bonde. 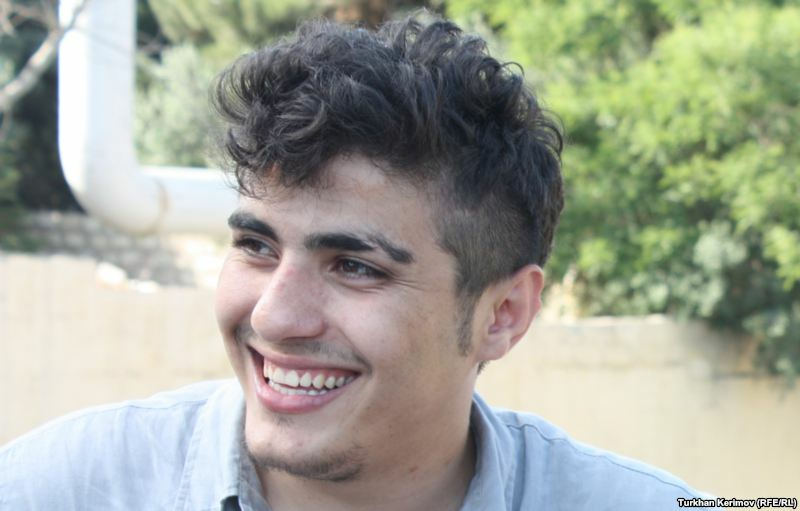 Mehman Huseynov was awarded the Press Prize Award from Fritt Ord Foundation and the Zeit Foundation in 2013. He was unable to travel to Oslo to receive the prize due to the travel ban imposed on him by the Azerbaijani authorities. Since 2014, the Azerbaijani authorities have continuously targeted the Institute for Reporters’ Freedom and Safety (IRFS). In May 2016, Sports for Rights and 18 international NGOs condemned the Azerbaijani authorities’ relentless crackdown on independent media and other critical voices. In August 2016, Azerbaijan renewed its crackdown on critical voices ahead of a referendum on constitutional reform. June side event at the Parliamentary Assembly of the Council of Europe (PACE): Azerbaijan – A year of attempts to hide its dire human rights record. In spring 2016, Azerbaijani authorities released many prominent political prisoners, though some of them are still subject to restrictions.